The 150Wpc Reference 150 measures 19″ W by 8.75″ H by 19.5″ D, weighs 75 lbs, offers output taps for 16, 8, and 4 ohm loads, and is available in silver or black. It uses eight matched pairs of KT120 output tubes and four 6H30 driver tubes; the output-stage coupling is a combination of the familiar ultralinear configuration and ARC’s patented “partially cathode-coupled” topology. EL: “With its open soundstage, neutral tonal balance, finely textured musical presentation, wide dynamics, and supremely musical feel, the ARC Reference 150 connected me with my music better than almost every other amplifier I’ve heard.” Compared to the Octave RE 290, the Ref 150 lacked some bass control but sounded significantly bigger, clearer, more colorful, and more natural, said EL. A JA favorite. 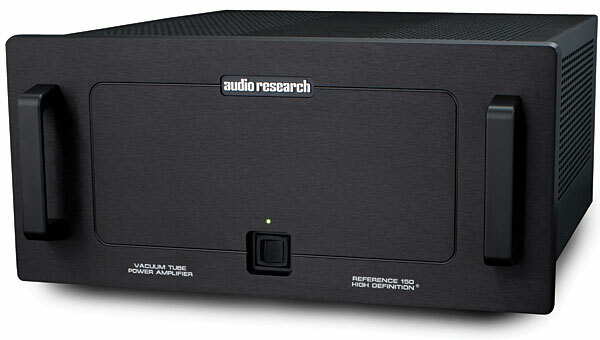 Dit bericht werd geplaatst in Algemeen info - Informations générales, Audio Research, Dealers - Revendeurs, PrimaLuna, Versterkers - Amplificateurs en getagged met Audio Research Ref 150, durob audio, versterker. Maak dit favoriet permalink.